TiL thinks every month should be National Poetry Month. But, since it's not, we're gonna share as much goddamn poetry as we can as Songkran (ថ្ងៃ​សង្រ្កាន្ដ) approaches. 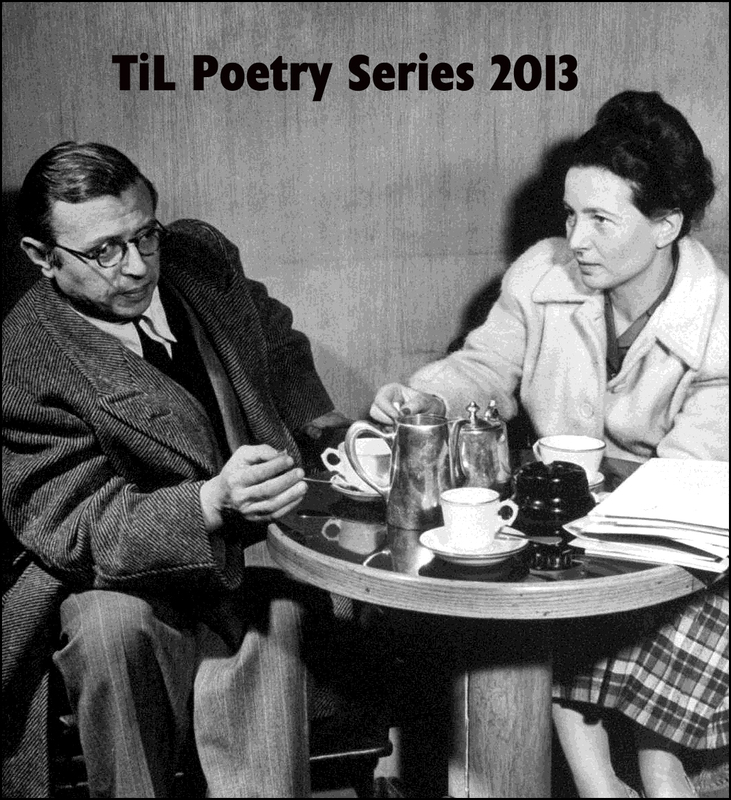 Our second installment of the 2013 TiL Poetry Series shares the work of lord of language Robert Masterson. ¡Que viva! she would be one of those. of her skills as a cocktail temptress. she knew I hadn’t made anything. dull gray in mercury-vapor lamplight. but she was a natural blond. and she would try to remember how to count. just another place she’s never been. what she gave them was poison, always poison. and it says "R. w/girlfriend & Shawna (age 4), 1983"
Robert Masterson, professor of English at CUNY-BMCC in New York City, has authored Artificial Rats & Electric Cats, Trial by Water, and Garnish Trouble. His work appears in numerous publications and websites, and he holds degrees from the University of New Mexico; the Jack Kerouac School of Disembodied Poetics in Boulder, Colorado; and Shaanxi Normal University, the People’s Republic of China.